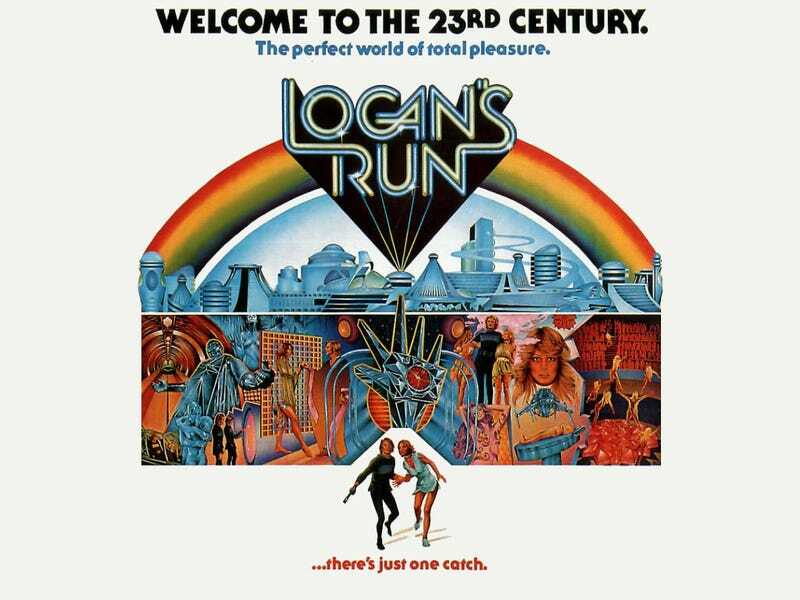 One of the great movies Hollywood has been trying and failing to remake for a long time is Logan’s Run. A who’s who of filmmakers and actors have tried to reimagine the film—and now, X-Men, Fantastic Four and Star Wars producer Simon Kinberg will give it a shot. Kinberg has been hired by Warner Bros. to write the story, pen a treatment and eventually produce along with Joel Silver (Predator, Lethal Weapon). From his work, they’ll hire a writer to do the full screenplay. Logan’s Run was originally a 1967 novel by William F. Nolan and then became a 1976 film, directed by Michael Anderson. It’s set in a seemingly idealistic future where people are killed when they reach the age of thirty. Those who are against that practice “Run” away, to the dystopic reality outside. Most recently, Ryan Gosling was attached to the project along with his Drive-director Nicolas Winding Refn. X-Men director Bryan Singer has also tried to get the movie made, and Oscar-winning writer/Mission: Impossible Rogue Nation director Christopher McQuarrie is just one of the people who tried to crack the script. You have to wonder, if filmmakers of that calibre haven’t been successful, what is Kinberg bringing that’s new? One thing he is bringing is an insane track record. Kinberg is one of the busiest men in Hollywood. Not only is a the primary architect of the Fox Marvel Movies (that means he produces and oversees all the X-Men films as well as the upcoming Fantastic Four and Deadpool), he’s a consultant on Star Wars: The Force Awakens, will write an upcoming Star Wars Anthology film (rumored to be about Boba Fett) and writes as well as produces the Disney XD cartoon, Star Wars Rebels. That’s all in addition to the other projects he’s attached to, like The Martian, The Leviathan and Magic the Gathering. If anyone can get Logan’s Run up and running, it’s Kinberg and Silver. But on the other hand, maybe this idea should just have the same lifespan as the main characters in the series.